First recipe of the year! 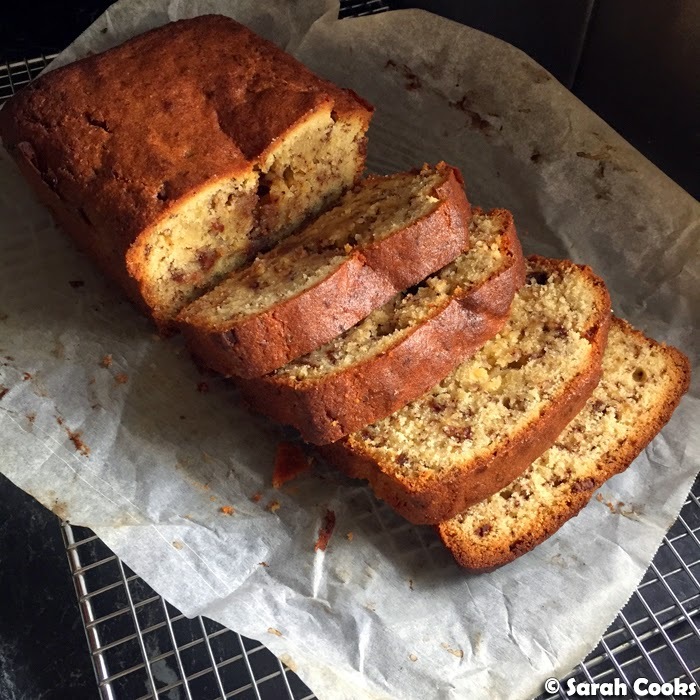 I baked this cake last week, and we loved it so much that I baked it again last night! I adapted this recipe for Oma's Nusskuchen ("Grandma's Nutcake") from one on the Dr. Oetker website - essentially it's a butter cake, with added almond meal and chopped chocolate. 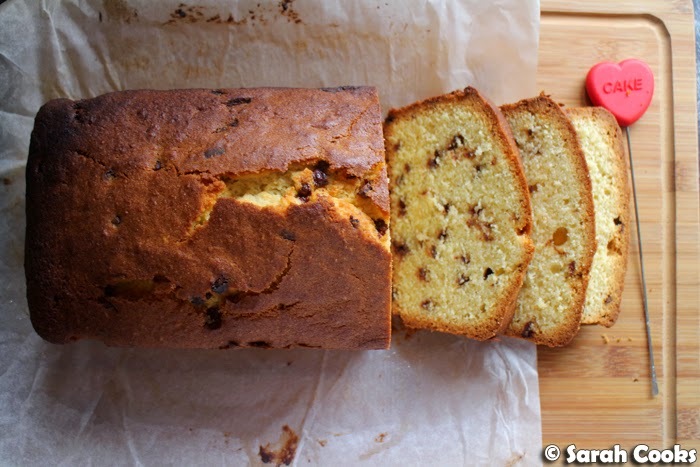 It's a lovely, simple cake, with a light vanilla fragrance. 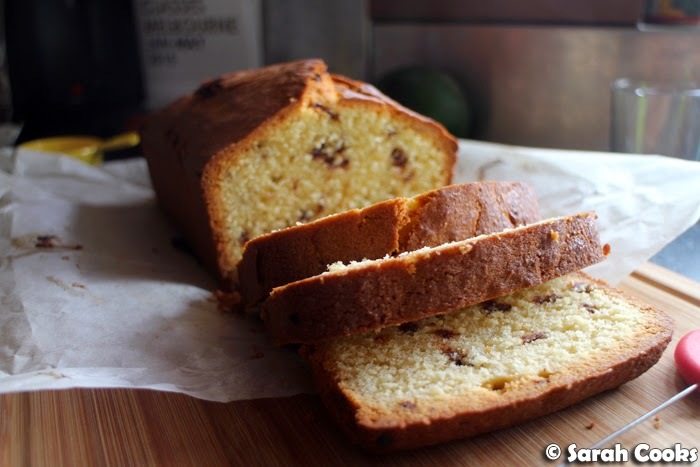 It's slightly dense, quite like a pound cake, with a moist nuttiness from the almond meal. It's the type of thing you can leave on the counter and keep going back to throughout the week. The first time I baked it, I accidentally took it out too soon, so it was crazy moist in the centre - oops. It tends to brown before it's cooked all the way through, so I suggest covering it with foil halfway through the cooking time. 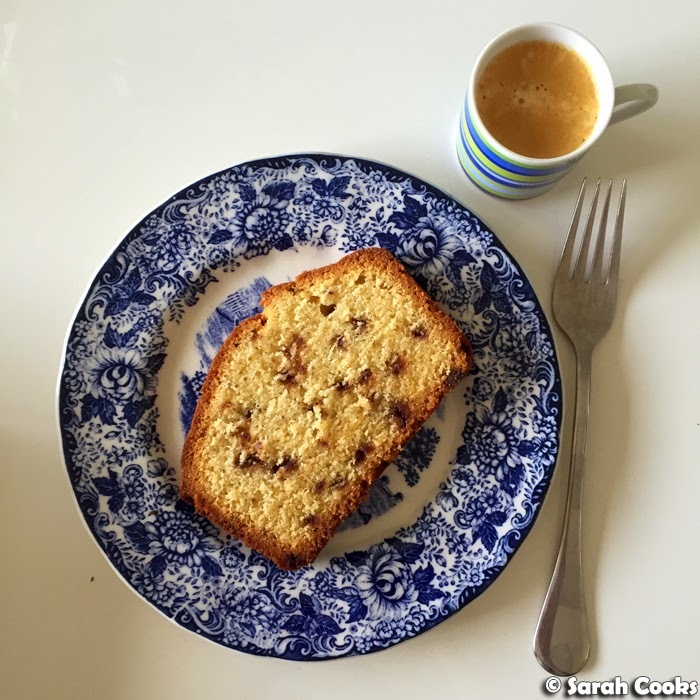 It's nice for afternoon tea, or even for breakfast, if you're the type of person who eats cake for breakfast. (Spoiler alert: I am totally the type of person who eats cake for breakfast). Preheat the oven to 180C, and line a loaf tin with baking paper. (My loaf tin is 29cm x 14cm x 7.5cm). 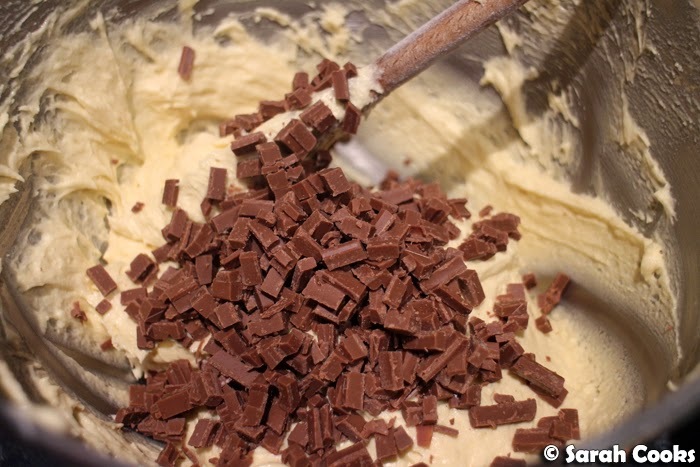 Beat the butter in an electric mixer until smooth and creamy. Gradually add the caster sugar, beating until light and fluffy. Beat in the vanilla extract and salt. Add the eggs one at a time, beating well after each addition, and scraping down the sides of the bowl as you go. (The mixture may look curdled but will come together after you add the flour). Speaking of which... sift together the flour and baking powder, and mix into the butter mixture using a wooden spoon. Stir in the chopped chocolate and almond meal. Scrape the mixture into the prepared loaf tin and smooth out the top. Bake for 60-75 minutes, or until cooked when tested with a skewer. 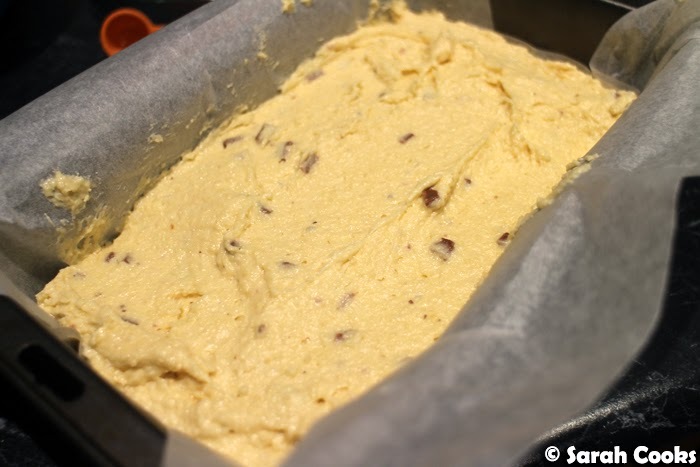 (Check the cake at 45 minutes, and cover with foil if it is browning too quickly). Allow to cool in the tin for 10 minutes, before transferring to a wire rack to cool completely. Oh yay, I love this kind of simple loaf cake. It's dangerous though, when I bake something like this, I somehow end up taking a thick slice to work for morning tea every day, then having a slice when I get home at night as well!